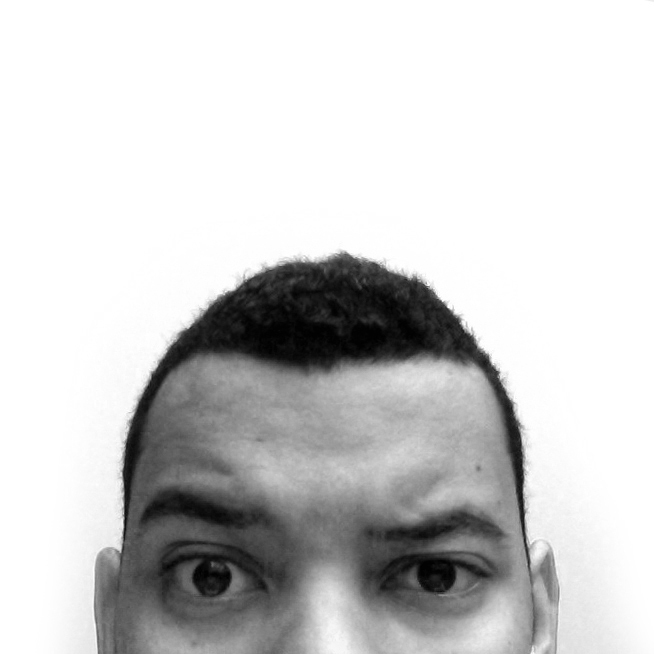 Following on Buffer’s example, I’ve been meaning to start opening up about our expenses. I expect this to be the first of various articles talking about how we invest our money. If you are in for the rest, go ahead and subscribe here. Balancing burn rate and runway in a startup is probably one of the most critical tasks a CEO must deal with. I have a policy of keeping our team up to date as to how our bank accounts are looking, but I choose to spare our team from the burden of day to day decisions and long term projections. It’s no secret that startups operate at a loss for quite some time. How fast you become cash flow positive varies significantly from company to company, with some startups achieving break even point in the first few months, and others like Twitter still struggling to do so even after IPO. More on that later. 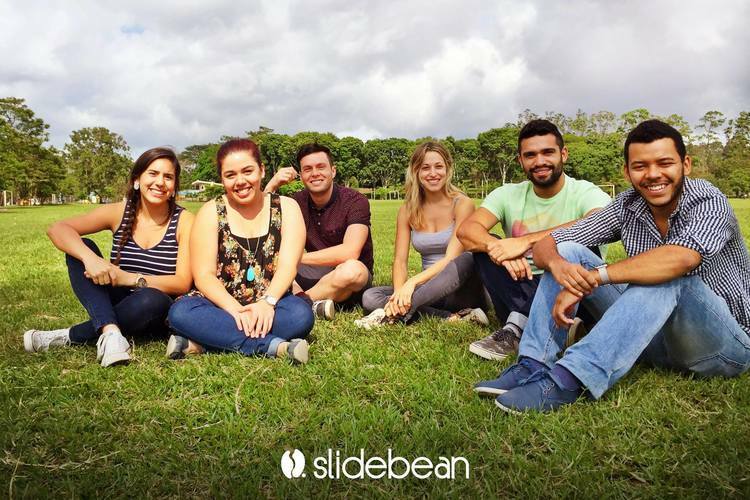 We officially started working in Slidebean around May 2013, which puts us at around 2 years since we founded the company. As of today, Slidebean has raised approximately $500K, most of this money arriving in the past 6 months as our traction finally became relevant. May 2013: $35K by myself and Carao Ventures (founding round). November 2013: $70K by Startup Chile and by a Costa Rican Seed Capital fund (equity-free government grants). May 2014: $25K by DreamIt Ventures, as part of their New York accelerator. September 2014: $100K by 500 Startups. January 2015: $250K by Carao Ventures, Edge Harris Ventures and DreamIt Ventures. Believe it or not, the first Slidebean MVP took about two weeks to make. We built a Squarespace landing page with a quick explainer video and a fake sign-up form. Still, building our first ‘usable’ product did take a few months. There are three things that I believe we did right during this period that were critical to get us to where we are today. From day 1 all 3 co-founders had a designated salary. I believe this is fundamental to a company’s success and very often overlooked. I’ve seen many startups that agree not to have a fixed salary and simply cover living expenses for the founders. This approach can lead to very awkward discussions when a founder wants to fly to visit their family for Christmas, or buy a present for their significant other. Even if it’s a small symbolic amount, everybody needs to have some money that they can spend without having to explain themselves to the rest of the team. In Slidebean we also agreed that all three founders are compensated equally. This created a sense of transparency and equal commitment among all three of us: we all should be working as hard as we can and nobody should make more money for doing so. We decided that if the company could not afford salaries at any point, that we would delay that payment until we had some money in the bank. Thus, if we had to use our credit cards or borrow money to get through the month, we knew that we’d eventually be paid back. In a worst-case-scenario where the company could not afford to pay delayed salaries, these would be considered ‘investments’ by the founders and thus converted into shares. Luckily we never got to this point. If we used our initial cash to work on Slidebean 100% of our time, we would have been broke before we could raise any money. This is why we decided to use part of our time to do consulting work. During the early stages of Slidebean, we made approximately $5K a month in projects for third parties, which included online marketing and web development. We probably used 40-50% of our time in consulting work and used the rest to work on Slidebean. This allowed us to work on the tool without burning through our cash too fast. Eventually, we hired a junior developer that took care of most of the consulting work while leaving our CTO’s schedule 90% clear to work on Slidebean. Evidently, this was a developer intensive period. *Bear in mind we were based in Costa Rica. $1500/mo was enough to get by. Startup Chile (SUP) is an early-stage accelerator that offers an equity-free grant of approximately $35K. Your team is required to move down to Santiago for the 6-month period of the program. By the time we got accepted into the program we had almost finished building our first beta, which we launched before relocating to South America. We decided to keep one staff member in Costa Rica to continue working on the ongoing consulting work we had, which we supervised from Santiago. It was clear for us that we wanted to dedicate 99% of our time to Slidebean, but with a $10K+ burn rate, we needed to keep some of our consulting work to avoid running out of money too fast. Our time in Startup Chile was critical to start testing our product with real potential users. Our advertising spend went towards signing people up and testing our onboarding process. We subscribed around 5,000 users during this period and started testing our business model. Since we had no time to implement a payments gateway, we tested our subscription model with a fake pay wall. If a user required a feature we were planning to charge for, they’d get a message asking if they wanted to subscribe for $5/mo. If they clicked ‘Proceed’, the feature would be unlocked automatically. Using this approach, we discovered that around 8% of our active users would take the bait, which gave us some insights as to how our business model was looking. Focus in user tests and gathering their feedback. We were able to get cheap signups with Facebook Ads and monitored their behaviour closely. 100% dedication to Slidebean. The fact that we moved to the same apartment was critical for this. Keeping consulting work back in Costa Rica to help sustain operation costs. 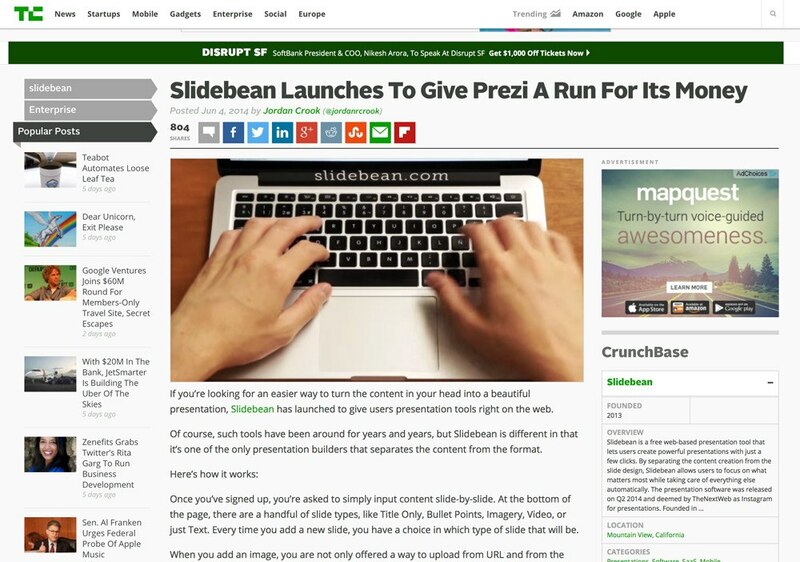 This was handled by a separate staff, so the core team would not be distracted from Slidebean. Experimenting with the business model early on and getting some (very) early conversion rates. We didn’t start charging for the platform. I believe that this could have boosted our traction significantly and look back at it as one of the biggest mistakes we made in this process. Implementing our payments system should have been a priority. The feedback we received and prioritised came from ‘users’ but not from ‘customers’. Again, we should have focused on that billing system. We didn’t experiment with different customer acquisition channels. While we spent some money in Facebook ads, a lot of it went to students who we later discovered weren’t willing to pay for our services. Our current acquisition cost is very different and we could have had a head start in optimising it. Our plan had been to become a US Company all along, this is why halfway through the Startup Chile program we started applying to some US Accelerators. We were accepted in DreamIt Ventures in May and relocated to New York. Similar to what we did in Chile, we decided to launch the platform in the first few weeks after the program started. 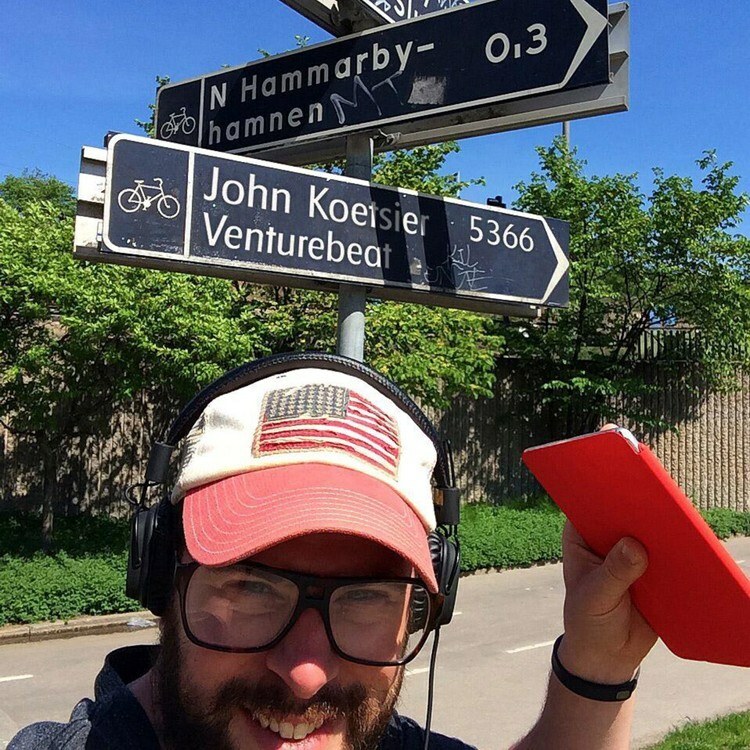 We hired Wouter Veenstra, an awesome PR guy who helped us nail a Techcrunch piece for our launch (which brought us around 7,000 new sign ups). Even though living in New York was significantly more expensive than living in Santiago or San Jose, we were short on cash and could not afford to adjust our salaries. While I had been focused on marketing/growth during the previous period, we wanted to leverage DreamIt’s network as much as we could to get in front of investors. Wouter took over most of my growth-related tasks and I focused to investor meetings and fundraising; this was another large mistake that could have cost us our company. “Fundraising is an exhausting and discouraging process: you pitch your life’s project only to get rejected 99%-100% of the time (remember high school dating?). In our case, we made the terrible mistake of spending 25%+ of our team’s time in trying to raise money, when our company was far from ready to do so. With a recently launched platform we were making about $1K in MRR. Being our first $1,000 we felt that this was enough proof that our business model made sense, but we were clearly mistaken. Kept our burn rate low thanks to our Costa Rican operations, which were pretty much self-sufficient by now. Leveraging DreamIt Ventures to get (huge) press and to get a lot of relevant intros. Spending/Wasting too much time trying to raise money, when our company wasn’t ready for it. Spent $3K+ in fundraising trips to New York and California. Not spending enough time, money and effort in reaching relevant MRR metrics. I don’t tell this story very often, but when we got accepted into the 500 Startups accelerator we had about 2 weeks of runway. I was bringing the ill news to the team when the acceptance email came in. 500 Startups’ absolute focus on growth was key to bring our company to where it is today. During this process we pivoted our target audience from our initial consumer market focus to a B2B play for small businesses and startups. This happened thanks to our weekly meeting with the staff and their endless (and often brutal) push to re-think our business. They turned out to be right. (Hey there @poornima). Pivoted our business model into B2B and changed our pricing plans significantly (we increased our pricing by 5x). 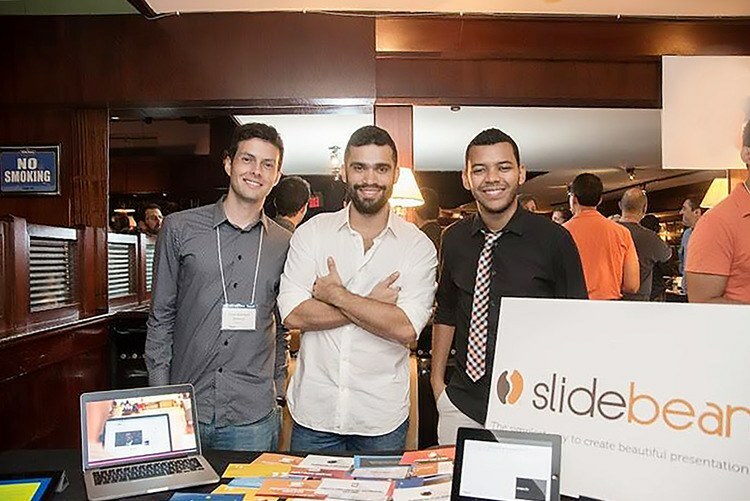 As we moved into startup major leagues we disconnected Slidebean completely from our Costa Rican consulting operations. They have since become a completely separate (and profitable) company. Focus on acquiring customers. We finally nailed some positive unit economics and acquisition channels with Google Search Ads. Hired a Customer Success person who was key to increasing conversion rates. She also let us to discover how much we needed a 24x7 support channel. Didn’t waste time in fundraising; 100% dedication to product and growth. We couldn’t retain our Customer Success person after the program ended and were forced to make a new opening. Never underestimate the time and cost of replacing someone. We came into the program at an earlier stage than other companies. This was caused by the mistakes we made in the past months and meant that we had to play a bit of catch up during the accelerator to avoid being a ‘less-relevant’ company in Demo Day. 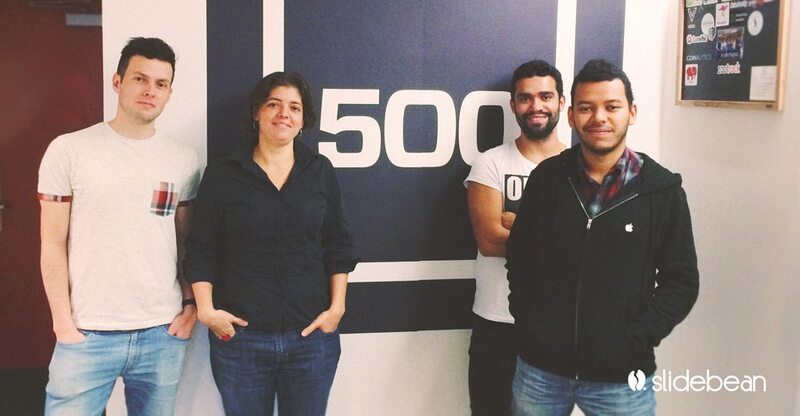 One thing was very clear when we finished our 500 Startups process: we were on our own. Growing our company and pushing the bar every month was entirely up to us. We were able to secure a $250K bridge round and we’ve since expanded the company to 6 full-time employees, mostly based in our Costa Rican office. We also have a New York shared office space where I spend about 40% of my time, mainly to keep our investor and contact network active for our upcoming fundraising efforts. This allows us to official remain as a 'New York' Startup, while keeping our costs down (for us, it's cheaper to fly to NY for one week every month, than actually living there). For companies running low on cash reserves and seeking to break even as soon as possible. Low to no spending on experimenting with new acquisition channels, and no new hires. For companies that assume that they will receive follow up funding. There is no focus on reaching a break even point, on the contrary, the first priority is continuing with accelerated growth to engage future investors. Neither approach is ideal. On the first hand, investors expect fast and dynamic companies rather than ‘safe’ strategies. They’ve already invested and assumed the risk of funding a startup. A company with such slow growth will not give them a large return on their investment. On the other hand, focusing exclusively on revenue growth without paying attention to the net burn rate makes the company depend on future rounds of investment, which might or might not come in time. Experiment with new acquisition channels ($500-$1000 tests). Carefully measuring the CAC and LTV of each channel. Once a channel is confirmed as profitable (LTV > 2.5x CAC), we double the investment in that channel and continue monitoring it to ensure the +2.5x is maintained. We've found a number of profitable channels that we continue investing in until that channel becomes 'depleted' (where more spending results in unsustainable acquisition costs). These channels are the main drivers of our monthly growth. As for experiments, we calculate our spend keeping a balance of burn rate vs runway. We spend as much money as we can in experiments, while ensuring that our runway does not go below 12 months. Is it the right or the wrong approach? We'll find out.